Lovely Cabin ? ? ? ? ? We enjoyed the cabin. The floor plan is nice and the back decks are great. The kitchen was pretty well stocked with pans, etc. When we arrived, we arrived to a row of cabins located very close to each other. This was really not a problem, but just not what we expected. Also, this is rented as a pet friendly cabin. However, there is really no place to take your dog to potty other than across the street in very small patches of grass. So if you are planning to bring your dog, please know that there is no place for them to run and they end up being on a leash all the time when outside. Overall, I would recommend this place as long as you are aware of these few issues. Fantastic cabin! We came down to TN to celebrate our 10 year anniversary. This cabin was perfect for the two of us. It had a nice heart-shaped tub upstairs in the bedroom. Everything was very clean and updated. We were able to have guests over for dinner since the living area is so large. My husband and brother-in-law were able to play pool while my sister and I made dinner and played board games. It was a very quiet location with the woods off of the back deck. The hot tub on the deck looked very nice though we never used it. Also has all the amenities of home like washer and dryer. Easy drive to downtown Gatlinburg and Pigeon Forge. Would definitely recommend this cabin for a couples getaway. A Smoky Mountain Vacation Experience! Diamond Mountain Rentals is retired veteran owned and operated and offers the finest Gatlinburg cabins and Pigeon Forge cabin rentals, chalets, and condos in the Smoky Mountains of Tennessee. Whether you are here on your honeymoon in Gatlinburg, on a couples ski getaway, or a family get-together in the Smoky Mountains, we have the right cabin for you. At Diamond Mountain Rentals, we value you as our customer and continually strive to make your Smoky Mountain vacation an enjoyable one when you stay in one of our cabins in Gatlinburg, TN or Pigeon Forge. Diamond Mountain offers: Gatlinburg cabins, cabins in Pigeon Forge, chalet rentals in Gatlinburg, and condos in the Smoky Mountains... all for the fun and enjoyment of the entire family. Fishing and whitewater rafting in the Great Smoky Mountains National Park is nearby, as well as Dollywood and Splash Country for a country themed family outing. All of our Gatlinburg cabin rentals are conveniently located to the Gatlinburg "Strip" as well as unique shopping, entertainment, and dining venues. Enjoy your next Smoky Mountain vacation with a cabin in Gatlinburg or a Pigeon Forge resort, chalet, or condo from Diamond Mountain Rentals in Tennessee. Don't forget to check out our Gatlinburg cabin specials to see our current special offers on cabins in Gatlinburg TN. Minimum 2 night stay required for all Gatlinburg cabin rentals. 4 night minimum for Thanksgiving Week. State/Local sales tax & Housekeeping/Processing Fees and Pet Fees are in addition to the basic nightly rate. One-Half (1/2) of reservation cost is due at booking with remaining balance due seven (7) days prior to arrival. Pet fees are $50.00 per pet with no more than two (2) pets allowed. All pets must be crated when guest are not in unit. We will make every attempt to have your cabin unit ready by 3:00 pm during high volume peak season and holiday weekends, however, during those times, we cannot guarantee a 3:00 pm check-in. First time visitor or Gatlinburg expert -- you'll find lots of fun and exciting activity and attraction reviews in our Smoky Mountain Guides. Discover where people like to play, shop, dine and relax. Our guides put you right in the middle of the action and direct you to all the top spots in and around Gatlinburg. If you are looking for a different challenge, and another outstanding reward at the end of the trail, you’ll want to hike to Rainbow Falls. This trail can be a bit tricky as it’s rocky and ascends 1500 ft. from beginning to end. Hikers report that there are a variety of mini falls you can enjoy before you get to Rainbow Falls itself. At around 5.5 miles roundtrip, this hike can take you a few hours to complete. The height of the falls (80 feet) and the sunshine-induced rainbow effect make this the ultimate falls viewing experience in the park. A bonus for hikers is that the summit of Mt. LeConte is located about four miles beyond Rainbow Falls. Casual hikers might have trouble completing the combo Rainbow Falls and Mt. LeConte hike, but it makes for a tremendous day communing with nature. Ready to become an expert on the Smokies? Start with 'How to Plan Your Trip' and look forward to your Smokies vacation! One of the most important things you can learn about in your explorations is the great variety of Gatlinburg and Pigeon Forge cabins, condos and chalets Diamond Mountain Rentals offers. In fact, you'll be surprised at the range of rentals we have because not only do they vary by size, but they also come in several types. Choose from romantic cozy cabins, larger family rentals, and super size chalets and lodge style cabins that are great for corporate retreats or large group vacations. And lest we forget: Diamond Mountain Rentals is famous for offering some of the very best pet-friendly cabins in the Smokies! Don't leave your dog at home, bring him or her along and have a true family vacation! Want to know more? Please call us at 1-888-430-4060, or contact us. Planning your Gatlinburg trip is almost as fun as being here. The anticipation will grow as you research all the things to do; from shopping, dining, and attractions to outdoor activities. One of the most important things you'll need to do to plan for your Gatlinburg getaway is to select one of our beautiful cabins to use as your vacation base. Looking for a romantic lodge-like feel? We have beautiful log chalets in Gatlinburg and Pigeon Forge that are perfect for honeymoons, weekend trips and anniversary celebrations. Traveling with the family, or a large group? Try some of our larger cabins that are full of amenities, and still very affordable. Or maybe you want to bring your dog along for a relaxing time in the Smokies. He or she will appreciate your thoughtfulness when you rent one of our great pet-friendly cabins. Don't forget all the history that Gatlinburg has to offer! You can immerse yourself in it when you book one of our cabins that's located in the Arts & Crafts Community. There's no better time than now to book your Diamond Mountain Rentals cabin and start counting the days until you arrive! With spring break right around the corner you may be quickly putting together a last minute trip for the family. Instead of going the traditional route with a jaunt to Disney or a laid back week on the beaches of southern California, why not opt for a unique and cost-effective trip to Gatlinburg and the Smokies?? 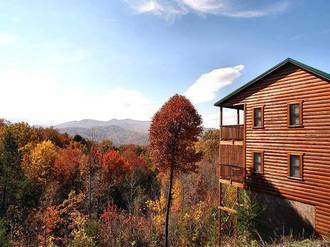 If you’re headed to the Smokies you probably have a relaxing, secluded week in mind. However, enjoying the lush foliage, fresh mountain air, and stunning scenic views are only part of the fun! If you need to break away for a bit, head to downtown Gatlinburg and enjoy a fresh drink at one of these fun local Gatlinburg restaurants! You’ll be able to interact with the locals while refueling for the rest of your trip. Dining in Gatlinburg has never been easier! The Smoky Mountain region is known worldwide for their stunning peaks, wildflower mania, and temperate springtime weather. For many couples, families, or even solo travelers a trip to the Smokies is just what the doctor ordered! With such stunning scenery there is a plethora of outdoor Smoky Mountain attractions and activities from which to choose. It’s time to melt the winter blues and opt for a refreshing spring break getaway, but as you’re scanning the list of options nothing really stands out. A cliche trip to Disney or a lengthy cruise simply doesn’t appeal. You want something unique and low-key, a place you can relax while still enjoying a wealth of activities. 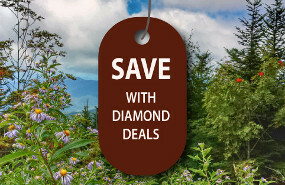 Before you go, would you like to enter to win a free 3 night stay in the Smokies? If so, enter your information below. We will be having quarterly drawings!